Kheema Sandwich or minced meat stuffed sandwich is a perfect idea for lunch box, breakfast or even as a snack. 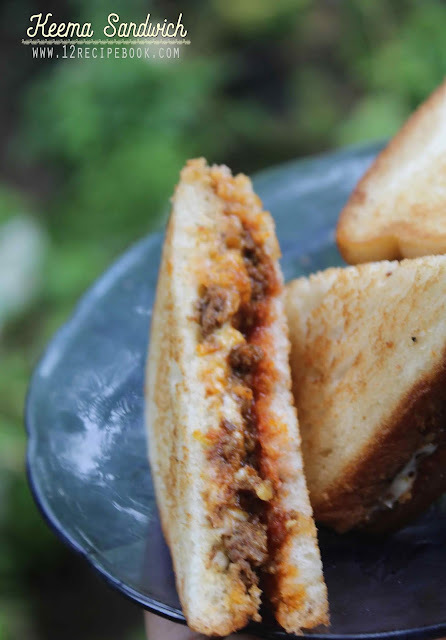 Try this easy and quick mutton keema sandwich recipe at your home. 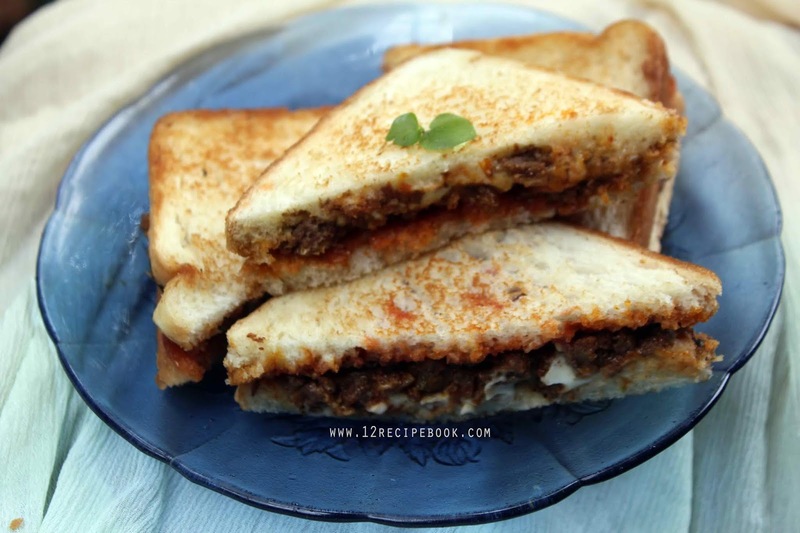 Check out the video of making keema sandwich to ease your cooking. Also please don't forget to subscribe my You Tube channel: 12recipebook. Butter-to toast the bread slices. Heat a pan with oil; splutter cumin seeds. Add chopped ginger; garlic and green chilly; saute a minute. Add chopped onions and saute until soften. Add tomato chopped saute until mashed well. Add all the spice powders and kheema meat; mix well. Cover the lid and cook foe about 25 minutes or until the meat gets nicely cooked. Garnish with coriander leaves and turn off heat. Allow this meat stuffing to cools down completely. Meanwhile toast the bread slices by applying butter on both sides until golden and crisp. Take a slice of bread and apply a tbsp of mayonnaise on top. Top it with prepared kheema meat. The apply a tbsp of ketchup on another bread slice and cover the sandwich. Press well to hold tightly. Cut them in to halves and enjoy!! !